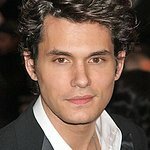 John Mayer is set to join Elmo, Big Bird and the rest of the Sesame Street gang in a TV special raising children’s awareness of the struggles of military families. “Coming Home: Military Families Cope with Change” will air on PBS on April 1, and tells the stories of U.S. service members who return home with injuries — visible and invisible — and explores the struggles their families face. Produced by Sesame Workshop and David Letterman's production company Worldwide Pants Inc, the show will also feature other famous faces such as Queen Latifah. Sesame Workshop has spent the past two years creating outreach materials to help military families with young children cope with deployments, homecomings and changes. In 2007, they produced a PBS another primetime special with Cuba Gooding Jr.. When Parents Are Deployed went on to earn an Emmy nomination.